WHAT: A mild, moisturizing, daily shampoo with marine extracts that feed roots, add shine and keep scalps happy. 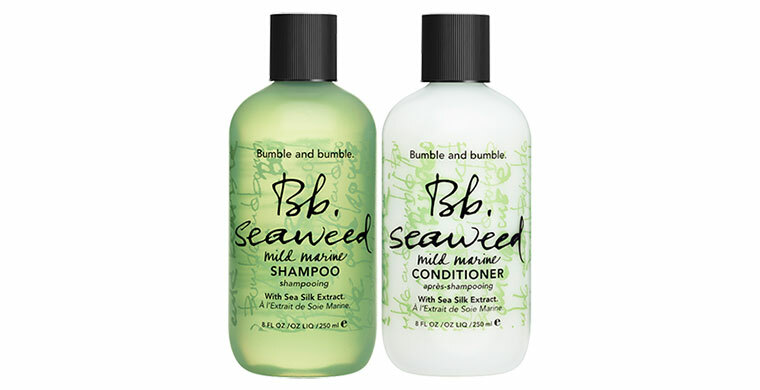 WHAT: A lightweight daily detangler with marine greens that nourishes, softens, and helps manage freshly-washed hair. WHO: Practically anyone except very dry or coarse; ideal for frequent bathers (color compatible). WHEN: Daily; following Seaweed Shampoo.